THE Commission of Inquiry into the 1 August 2018 Post-Election Violence is compiling its final report containing its findings, which will be handed over to President Emmerson Mnangagwa within the stipulated time-frame. There were claims yesterday that the Commission had completed its report, with some individuals peddling falsehoods about what is contained in a document that has not been finalised. 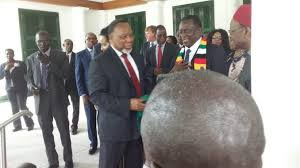 President Mnangagwa set up the Commission, led by South Africa’s former President Mr Kgalema Mohlanthe, to investigate violence instigated by suspected MDC Alliance supporters who were demanding early release of the July 30 Presidential election results. The Zimbabwe Electoral Commission is constitutionally required to announce Presidential election results within five days of voting, but violent protestors took to the streets just two days after polling. Six people died and at least 23 were injured. More than 100 people and organisations presented testimonies and/ or evidence to the Commission, and the body has until 19 December to furnish the President with its report. President Mnangagwa swore in the Commission on 19 September 2018 and gave it three months to complete its work. In an interview, Secretary to the Commission Mrs Virginia Mabhiza said what had been presented to the President last week was an executive summary and not a full report. “Commissioners are still compiling the final document which will be presented to the President within the stipulated timeframe. Evidence gathered by the Commission is vast and that will require a reasonable amount of time to collate and produce a credible report that will be handed over to the President. As you are aware, the Commission’s mandate will run until the 19th of December, that’s when the 90 day period will lapse since the Commissioners were sworn in on the 19th of September,” she said. After the report is handed over to the President, it is his prerogative to decide what he will do with the document, Mrs Mabhiza said.